The 2014-2015 Crowley project investigated violations of refugee rights in Thailand, with a particular focus on the international principle of non-refoulement, which protects refugees from being returned to a place where their life or liberty is at risk. Thailand hosts approximately 110,000 Burmese refugees in nine camps along its border with Myanmar. 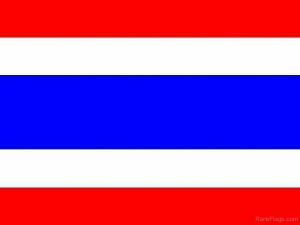 Refugees have seen a dramatic decrease in available services and resources while the Thai government has increased its strict enforcement of rules that severely limit refugees’ right to work and freedom of movement. This has created conditions in these camps that threaten to force refugees to return to Myanmar, where their life or liberty might still be at risk. Repatriation in this manner is not truly voluntary, but is instead a form of constructively forced return. 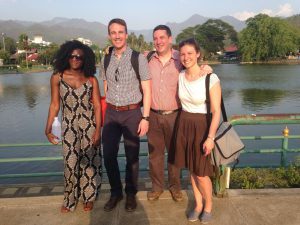 For two weeks in May 2015, a delegation from Fordham Law School, consisting of Crowley Fellow Zach Hudson, Fordham Law Professors Elisabeth Wickeri and James Kainen, and eight Leitner students traveled to Thailand and Myanmar to research and document the rights violations faced by refugees in Thailand and the conditions in Myanmar. The students who participated in this fact-finding trip include Rodrigo Bacus, Thomas Callahan, Hailey Flynn, Stella Gilliland, Olivia Gonzalez, Krista Hahn Blumenberg, Christina Menga, and Celi Pitt. Elizabeth Gyori, Leitner Center Program Assistant, also joined the delegation. The delegation conducted wide-ranging interviews with stakeholders and experts in the country, including refugees, refugee committees, members of NGOs, representatives of UNHCR, the Thai and Burmese governments, academia, legal and advocacy communities, and local leadership, whose expertise helped inform a broader understanding of the issues. The Crowley Team conducted follow-up advocacy in the fall of 2015, and will publish and disseminate a report of its findings, which will also be published as a scholarly article.